PRUmy child gives you control and flexibility to design a complete plan for your child. Offering an unparalleled choice of protection benefits ranging from health, hospitalisation, accidental and critical illness benefits, you can be confident that your child’s future is secure. Aiming to give you peace of mind when it comes to your child’s needs, the new PRUearly start and PRUbest start benefit under this plan offers your child protection during the crucial pregnancy and infancy periods under the Pregnancy Care Benefit and Child Care Benefit. British insurer Prudential is tapping sovereign wealth funds in China and Singapore to help finance its 35.5 billion dollar buyout of US insurance giant AIG’s Asian arm, a report said Tuesday. The Financial Times quoted unidentified sources as saying that Prudential and its advisers were in talks with the sovereign wealth funds to support a planned 20 billion-dollar share offer for AIA. It said the Singaporean and Chinese sovereign wealth funds had not made a final decision but their response was positive. Singapore’s Temasek Holdings and China Investment Corp (CIC), among the region’s major sovereign wealth funds, would not comment on whether they had been approached by the British insurer. “It is inappropriate for us to comment on market speculation,” a spokeswoman for Temasek Holdings said in a statement to AFP. A CIC spokeswoman said the fund has seen the newspaper report but added it was company policy not to comment on rumours. Prudential on Monday agreed to buy AIA for 35.5 billion US dollars in the insurance sector’s biggest ever takeover. The acquisition of AIA will transform Prudential into the world’s top non-Chinese insurer by market capitalisation, ahead of major competitors Allianz and AXA. Under the acquisition terms, the British firm will pay AIG 25 billion US dollars in cash and the remaining 10.5 billion US dollars in new Prudential shares and other securities. The Financial Times said Prudential is planning a rights issue of 20 billion US dollars, giving existing shareholders in the British insurer the right to buy the shares first. Should the shareholders decide not to take up the offer, the sovereign wealth funds will then invest in the offering, it said. Prudential’s group chief executive Tidjane Thiam said that Asia is the “most attractive opportunity in our industry today”, partly because of the region’s strong savings habits. “Asia is the engine of the group’s future growth, particularly the fast growing economies in Southeast Asia,” he said. Sales in Asia already make up half of new contracts for Prudential across a number of countries including China, India, Indonesia, Malaysia and Thailand. The company also has a strong presence in Britain and the United States. PRUlink assurance plan is a regular premium investment linked whole life plan. 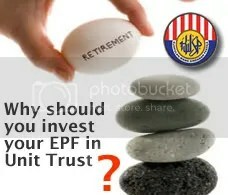 This investment-linked policy (ILP) offers a combination of insurance protection and investment. 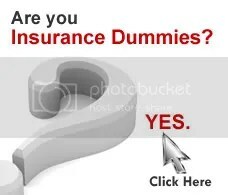 The basic plan pays a lump sum death benefit (i.e. 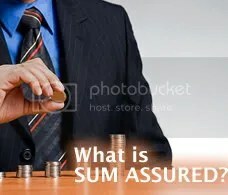 the sum assured) and the value of the investment units, at the time of claim, if you are totally and permanently disabled before age 70 or die, during the term of the policy. The insurance company allocates a portion of the premium to purchase units in the investment-linked fund that you have chosen. Illustrated below is the premium allocation rate for a benefit term of 20 years and above. For benefit term below 20 years, the premium allocation rate will be scaled up proportionately. The value of the ILP depends on the price of the underlying units, which in turn depends on the performance of your chosen fund. Free-look period – you may cancel your ILP by returning the policy within 15 days after you have received the policy. 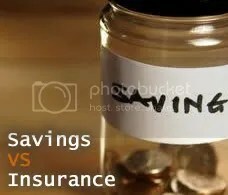 The insurance company will refund to you the unallocated premiums, the value of units that have been allocated (if any) at unit price at the next valuation date and any insurance charge and policy fee that have been deducted less any medical fee incurred. 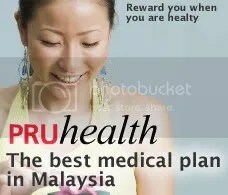 PRUhealth and PRUannual limit waiver under the policy will only start 120 days after the effective date of the policy for specified illnesses and 30 days for all other illnesses. Cover for hospitalisation due to accidents commences immediately. Co-insurance – you will have to pay 10% of the total costs incurred, subject to maximum of RM1,000 for Hospital & Surgical Benefit and RM2,000 for Outpatient Treatment Benefit. Life Insurance Tax Release. Pelepasan cukai insurans.